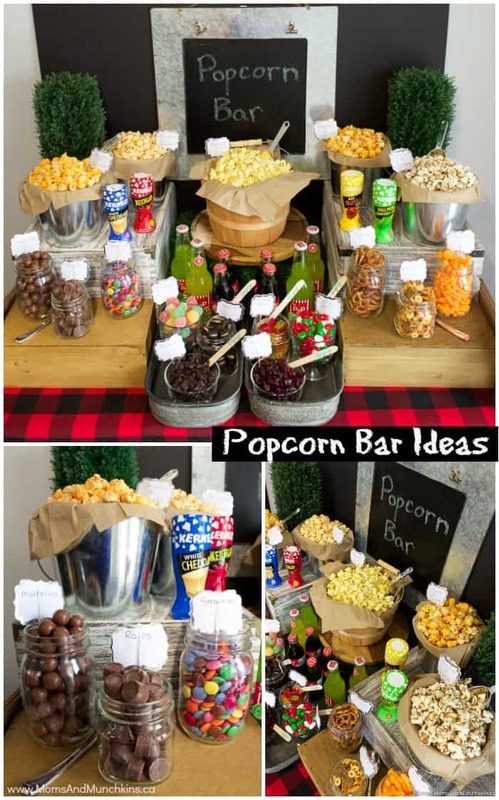 With Christmas and New Year’s parties now in full swing, we have a fun snack bar idea to share with you – Popcorn Bar! 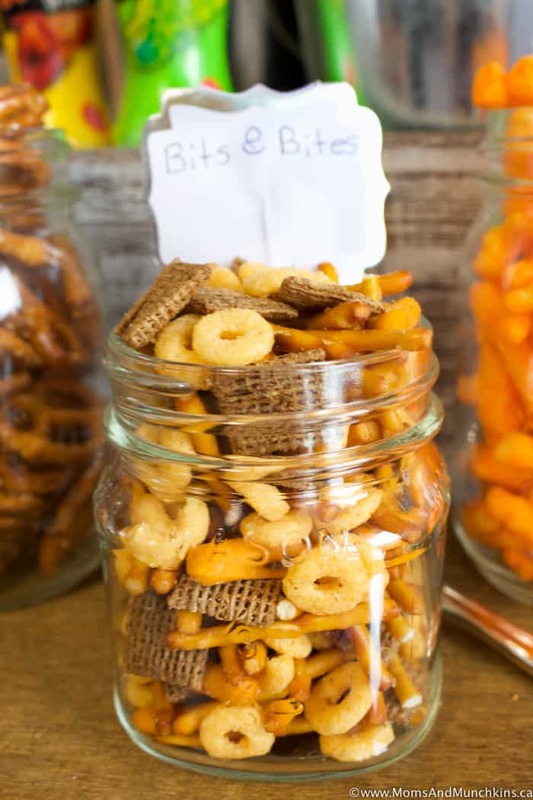 A delicious combination of salty snacks and sweet treats that guests can customize to their own taste preferences. 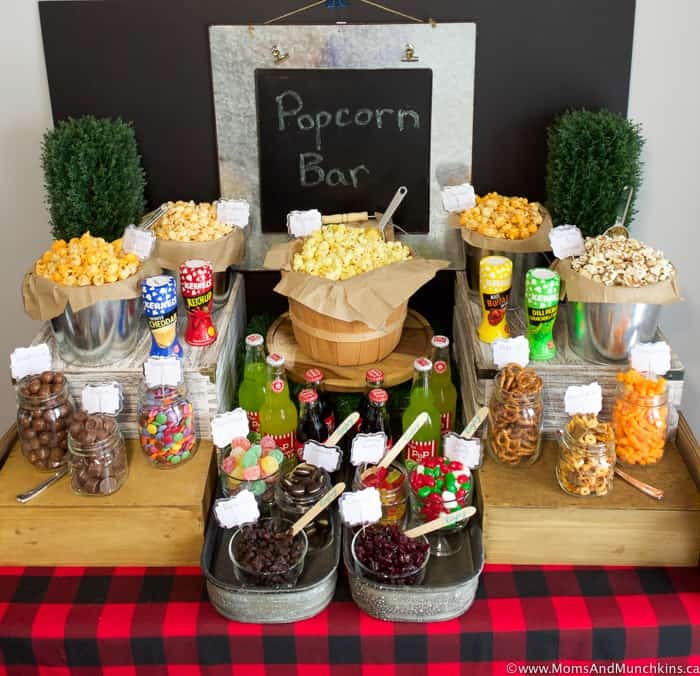 You’ll find my latest party article in Pink Magazine including all the snack & treat ideas, decorating and more but I’ll share all the party photos here with you for a sneak peek. 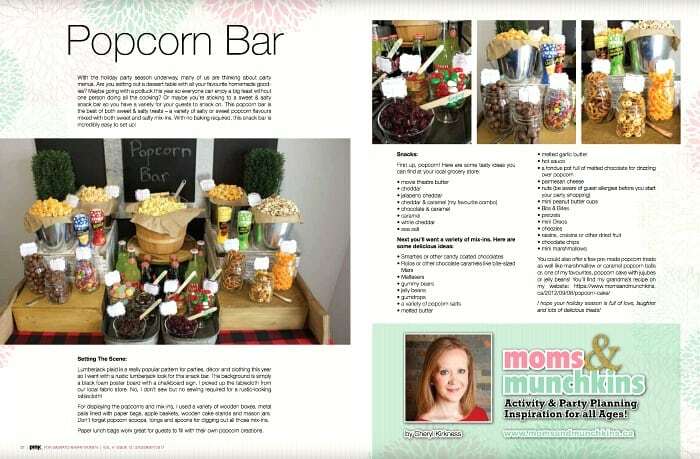 Don’t forget to visit the magazine for the full written article. 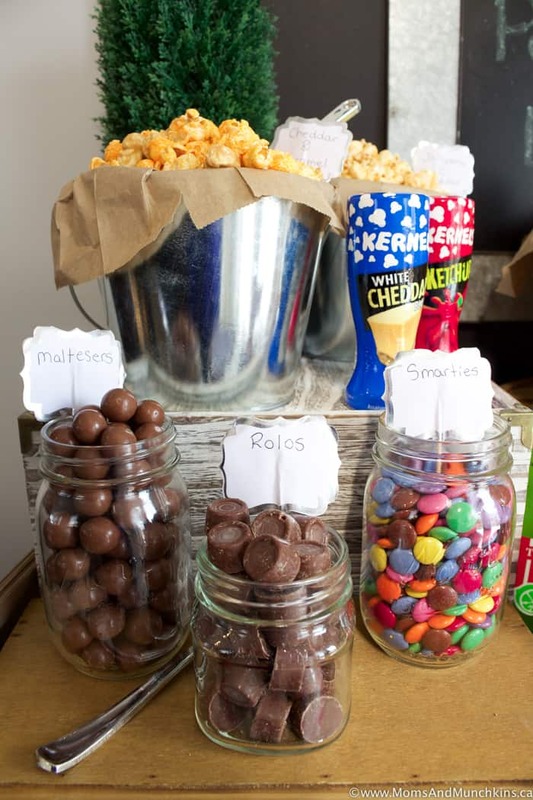 To start with, you’re going to need popcorn and lots of it! 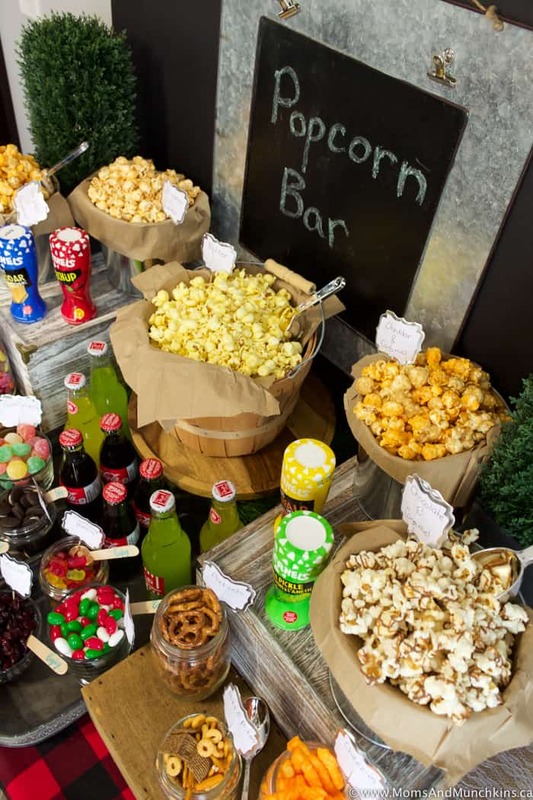 For this party I went with plain buttered, cheddar & caramel, jalapeño, and chocolate with caramel. 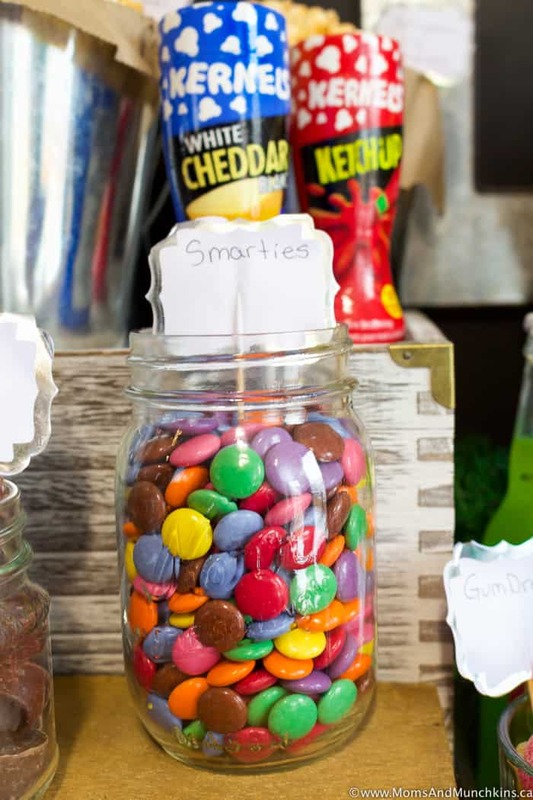 Once you have your popcorn picked out, you can start to fill jars with toppings such as sweet mix-ins, salty additions, salts, melted butter, melted chocolate, and more! 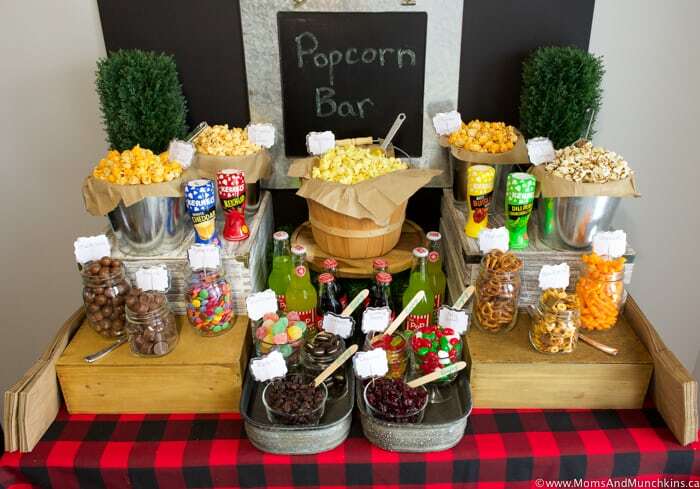 The possibilities with what to serve in a Popcorn Bar are really endless! 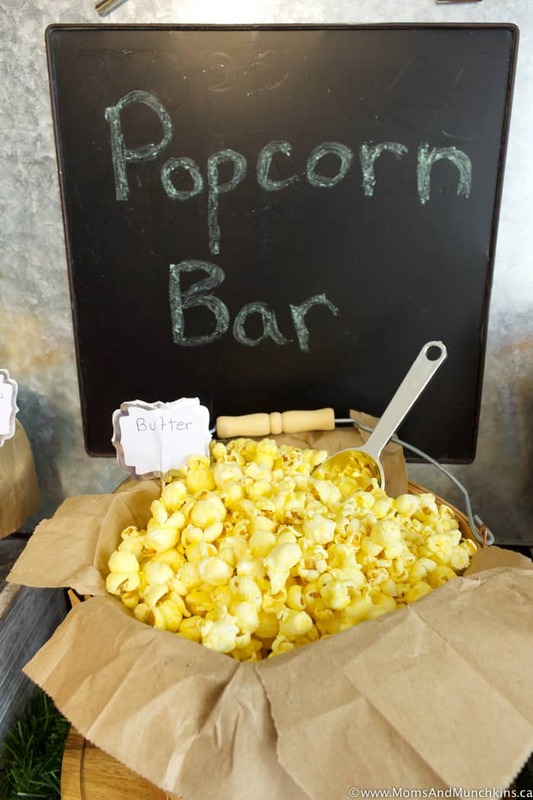 I asked our fans on Facebook what their favorite toppings for popcorn were and I read all sorts of answers I had never heard of before, tabasco sauce, ketchup (yes, ketchup! 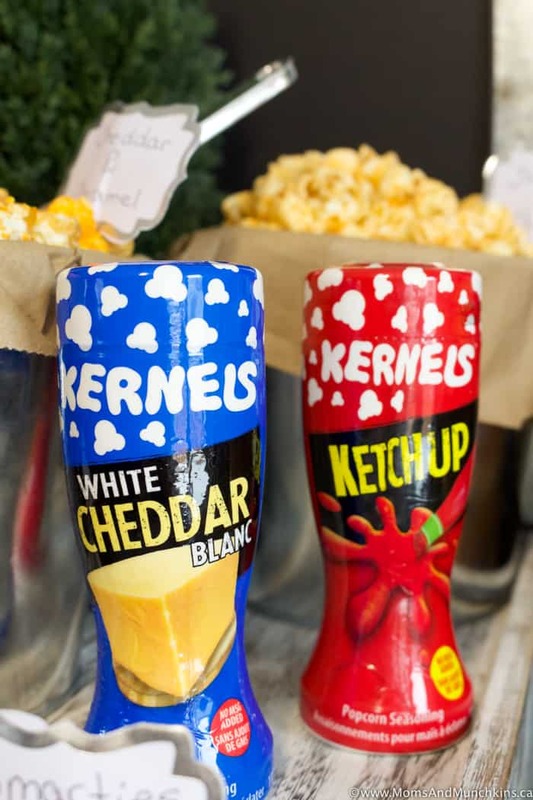 ), melted cheddar and so much more. 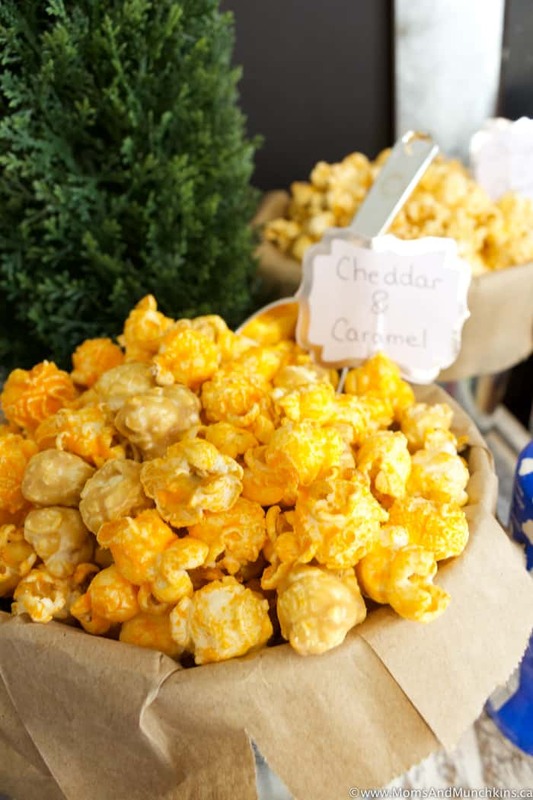 Another of my favorite sweet treat ideas using popcorn is my grandma’s popcorn cake. 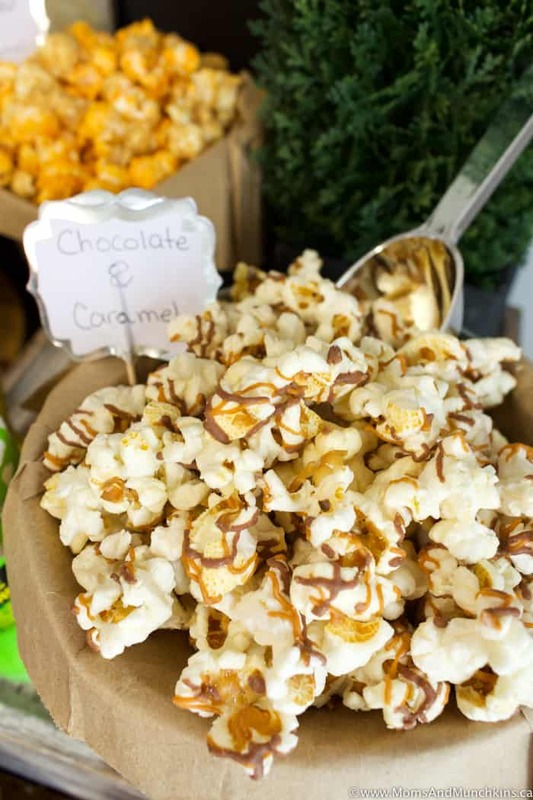 This is always a favorite at our place during the holiday season. 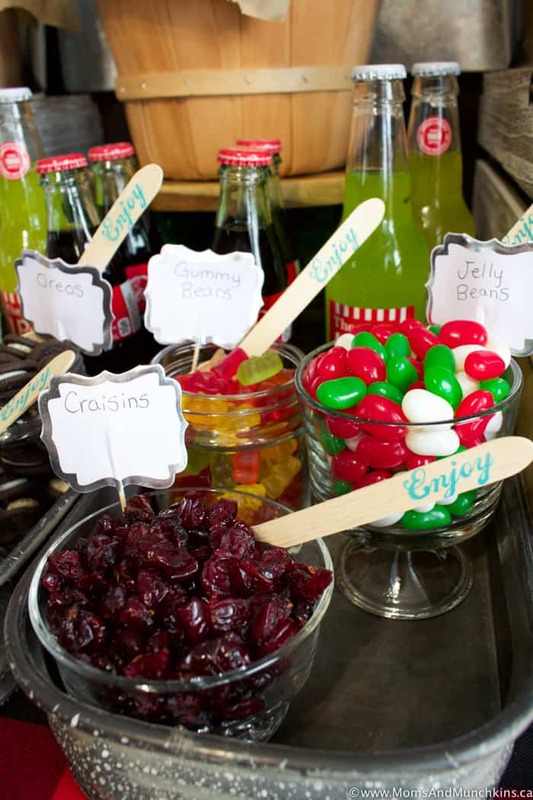 She uses gumdrops in hers but jelly beans are just as delicious. 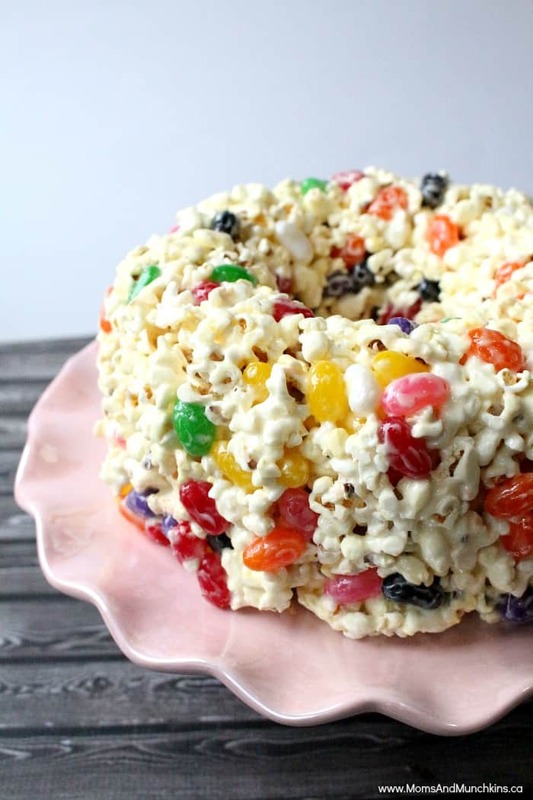 I’ve heard of some people using M&M’s in their popcorn cakes and I guess the trick to not having the chocolate melt on you is to freeze the M&M’s first. 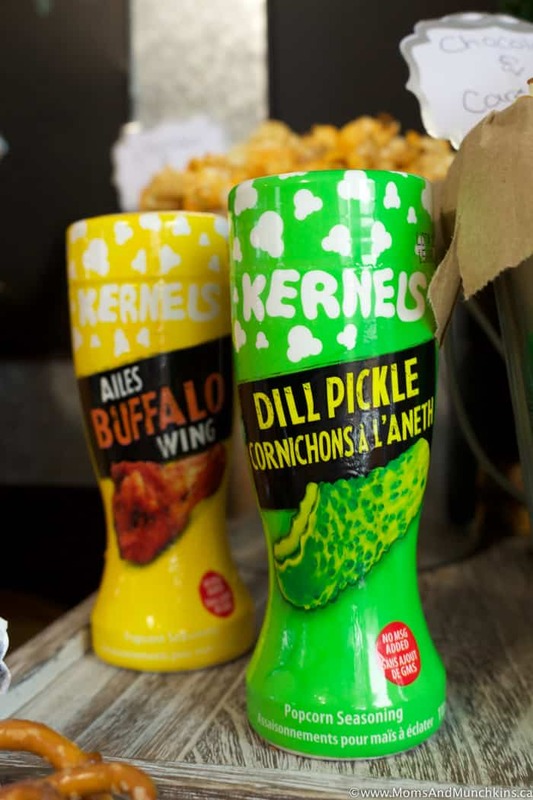 If you try it, let us know how it turns out for you! 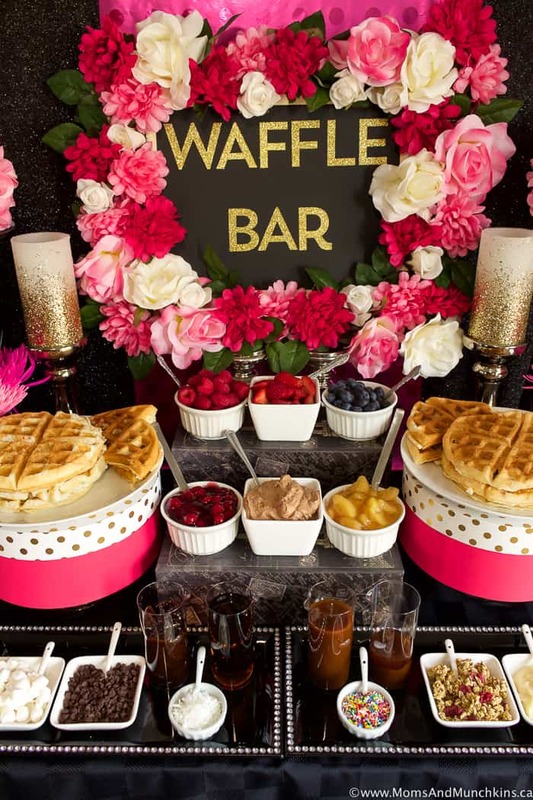 Waffle Bar – perfect for a brunch party! 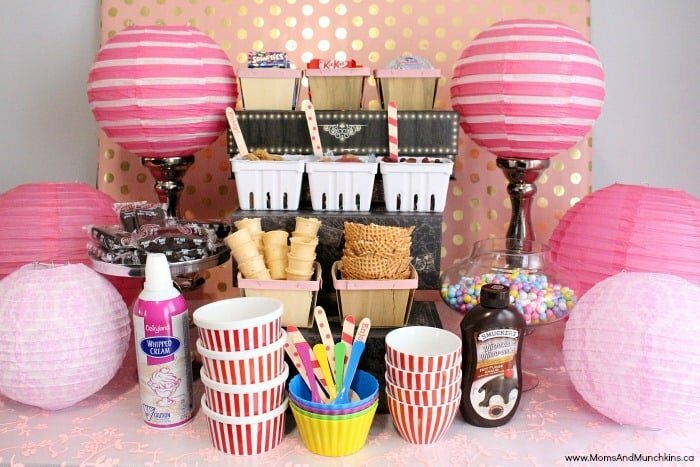 Ice Cream Buffet – for those summer parties! 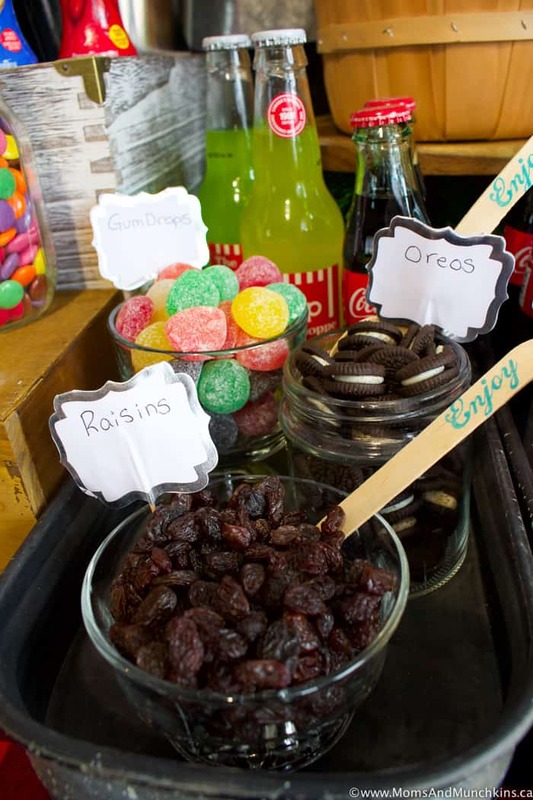 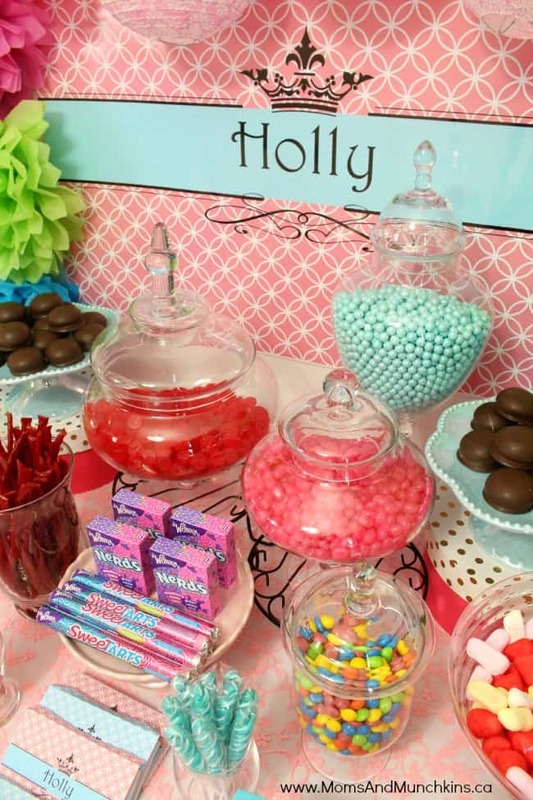 Candy Buffet – always a hit with both kids and adults! 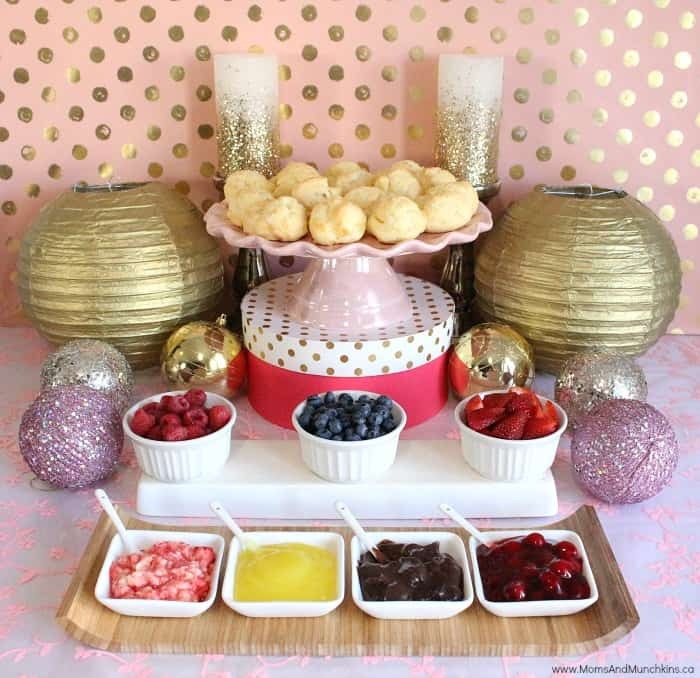 Cream Puff Buffet – a little messy for kids but great for something like a bridal shower. 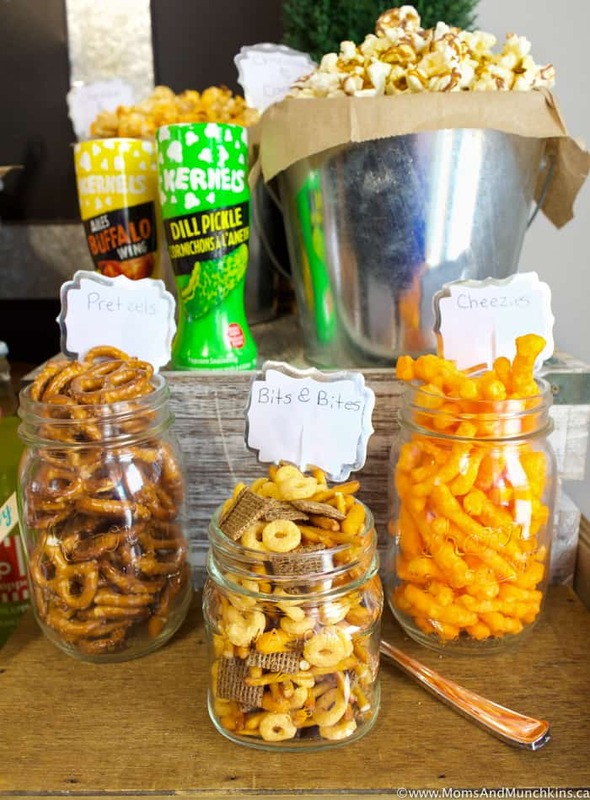 Stay updated on the latest ideas for home entertaining by following us on Facebook, Instagram, Twitter and Pinterest.